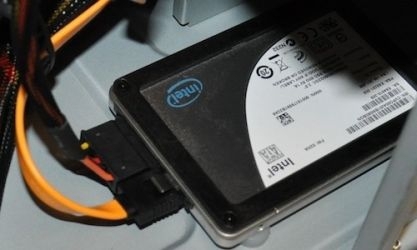 Digital Home Thoughts: When it Comes to Storage, SSD or HDD? When it Comes to Storage, SSD or HDD? "Solid-state drives (SSDs) make for a pretty great upgrade, but they aren't without their downsides (most notably, their high cost and low amounts of space). While the answer to "are they worth it?" is fairly subjective, there are a number of factors that can influence the usefulness of a solid-state drive." While solid-state drives definitely appear to be the future, traditional hard drives will probably be here for many, many years to come. Their huge storage capacities and fair transfer speeds have kept them in the running and the standard choice for most consumers but SSDs are increasing in popularity, especially in notebooks. While I am tempted to jump onto the SSD bandwagon, my storage needs outstrip my speed needs, and external storage devices are just too much of a hassle. Still, I am waiting for the day when a 500GB SSD can be had for under $100. Okay, you can stop laughing now.